The piece is a playful fulfillment of a child s fantasy. 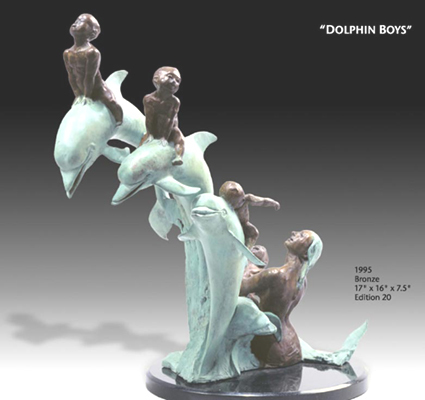 Four boys in their youthful resilience ride the magnificent energy of dolphins under the loving care of their mother. The most ancient rendition of this subject is the famous Greek dolphin boy in the National Archaeological Museum.